Nang Kwak in one typical pose, kneeling, left hand holding the money bag, an the right hand calling in people (Thai style – hand facing down) to the business to spend money. Visitors to Thailand are almost certain to come across a statue or image of a beckoning lady on a Buddhist amulet during their stay. Foreigners might think she is waving “good-bye” – in western culture, that appears to be what her right hand is doing. However, in Thailand the same motion that western citizens use to wave bye, Thais use to call someone over to them. She will usually be noticeable in shops and other businesses. Her beckoning motion can give the impression that she is inviting people to come inside to check out the merchandise. This is Nang Kwak. She is believed to bring good luck and prosperity to those businesses that pay her respect. Respect is shown by giving favors or gifts, usually in the form of incense, food, and drink – by placing them in front of her statue. In the morning, before businesses open, you can often see one of the owners of the business showing respect to their Nang Kwak shrine. The shrines are almost always above head level, but there are also elaborate shrines that spread out over the floor of a room and contain many Nang Kwak, and other Buddhist images, including Buddha himself. There are different opinions as to the exact origins of Nang Kwak (Disambiguation – sometimes pronounced Nang Gwak or Nang Kwak, Nong is also sometimes used). The most popular legend is that she was the daughter of a merchant living in India around the time of the Buddha. Her name then was, Supawadee. Her father needed to travel from town to town in order to make enough money to keep his family alive, and he would usually take his daughter with him. It was during one of these business trips that Supawadee came to a place where a revered Buddhist monk by the name of Phra Gumarn Gasaba was teaching. Nong Kwak easily absorbed the Buddha’s teachings, and became a convert to Buddhism. Phra Gumarn Gasaba felt so delighted with her almost instant understanding of his message that he gave her a special blessing – one that gave her everlasting good luck in business. Feel like SHOPPING for NANG KWAK amulets now? Suapawadee continued to travel from town to town with her father, but there was a noticeable change in their fortunes. It became easy to sell their goods and new business opportunities kept on coming their way. 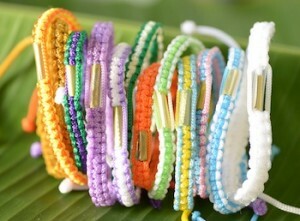 Within a few short years, their business was thriving, and Supawadee’s family became quite prosperous. After her father died, she took over the operation and things continued to go well. Despite her great success in business she continued to be a kindhearted person and a devout follower of Buddhism. Her fame for having the ‘golden touch’ in business meant that people would seek her out when they needed advice – she never turned anyone away. During her lifetime Supawadee was considered a special person by many people, but it was after she died that she became an object of devotion by so many Thais, Indians, and Chinese. This happened because business people who had heard about her found that they benefited from good luck in their transactions after they prayed and built shrines to her. The news of her miraculous power spread until it eventually reached Thailand and beyond. Today Malaysians, Singaporeans, Laotians, Chinese, Vietnamese, Sri Lankans, Indians, Burmese, and others, hold a special place in their hearts for Nong Kwak and her special blessing. 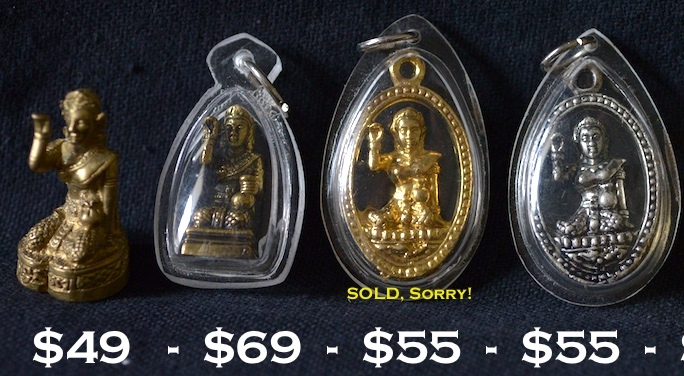 How Are Nang Kwak Amulets Good for Business in Thailand? There is uncertainty about when exactly the Thais became interested in Nang Kwak. It is suggested that people were already paying homage to her in the form of Mae Po Sop (the rice goddess) even before the legend of Suapawadee arrived in the country. One theory is that the merchants from India, who helped to spread knowledge about Buddhism in South East Asia, had a fondness for statues of Supawadee. The Thais noticed that these merchants were usually more successful in business than they themselves, so they adopted this form of worship. In the years that followed, the legend of Supawadee may have become mixed in with worship of Mae Po Sop. The name Nang Kwak (นางกวัก) can be roughly translated as ‘beckoning lady’ or ‘waving lady’. The Thais will often add the word ‘Mae’ which means ‘mother’ before her name as a sign of respect. Most businesses will have a statue of her proudly on display for luck, and failure to have a Mae Nang Kwak installed on the premises would be viewed by most Thais as a bit reckless. There are regular stories in the Thai media of how paying devotion to this image has led to increased business prosperity, so her popularity shows no signs of waning. There are variations in how Nang Kwak is depicted, but she is nearly always kneeling down with her right hand beckoning – waving with the palm facing downwards. The Thai style of Nang Kwak is of a thin, beautiful young woman, but there is also a Chinese version where she is plump and older looking. It is common for her to be wearing a red upper-garment, but other colors can also be used. In many depictions of her, the non-waving hand is clutching a bag of gold or other precious item. This is how you know a Nang Kwak amulet is about making money for the renter of the amulet. 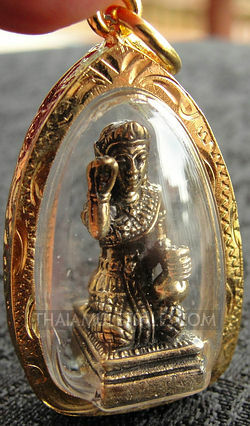 The belief in a Nang Kwak’s ability to bring good fortune has also meant that her image is often worn as an amulet. 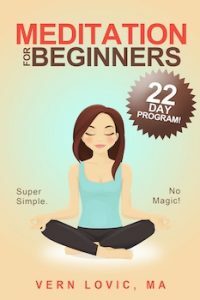 Many of these will be blessed by revered Buddhist monks in order to give them added potency. There are many different designs available from simple images made from powder mixes to amulets made from gold. Some Nang Kwak amulets have a reputation for being particularly lucky, and these will be the most expensive to buy. Nang Kwak figurine, and three waterproof amulets we have in-stock today (one sold out). If you would like one of these amulets, send us email at our Contact Form in the links at the top of this page. We have not sold many of her amulets, simply because we have not had many for sale. We are in the process of finding some of the best amulets we can find, but they are rather hard to locate in original Buddhist temples. 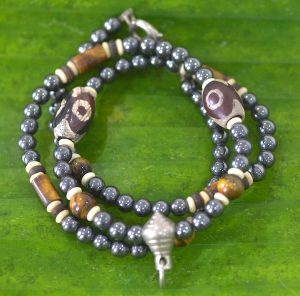 Jewelry shops have heaps of them, but we’re not interested in selling items from jewelry shops – which are usually unblessed and not made by a Theravada Buddhist temple at all. At the moment we have many unique Nang Kwak amulets, including solid white jade stone! We will put a link to them below where you can shop and buy one, if you like. (a few days, we’ll have a link up). Here is more information about Thai Nong Kwak amulets, and other amulets for wealth, business prosperity, and making money. May I know if it is still possible to get the Nang Kwak gold amulet ? I would like to ask if the small amulet of nang kwak is available and how much in singapore dollar and is it free shipping? Please write us via our contact page here.